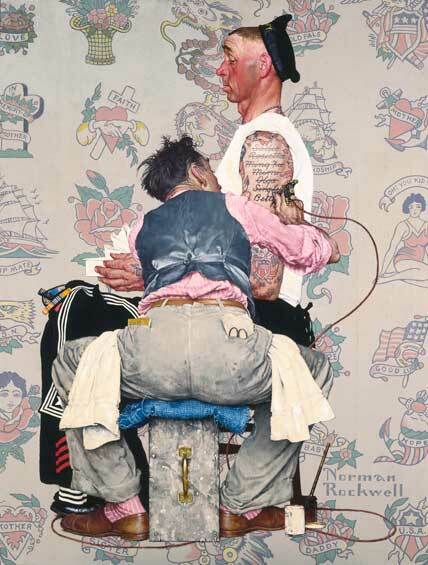 Through April 10: Beginning in the late 1930s, Norman Rockwell adopted photography as a tool to bring his illustration ideas to life in studio sessions. Working as a director, Rockwell carefully staged his photographs, selecting props and locations, choosing his models, and orchestrating every detail. He created an abundance of photographs for each new subject, sometimes capturing complete compositions and other times combining separate pictures of individual elements. These photographs were the focus of a recently completed two-year project at the Norman Rockwell Museum that preserved and digitized almost 20,000 negatives. For the first time, Norman Rockwell: Behind the Camera presents these study photographs alongside his paintings, drawings, and related tear sheets to offer a fascinating look at the artist’s working process.